After iFixit’s recent teardown, we have confirmation that Apple’s iPhone 6 and iPhone 6 Plus don’t have the very latest specs. 1GB of RAM? That’s mid-range Android from two years ago, friend; that seems to be the common reaction. 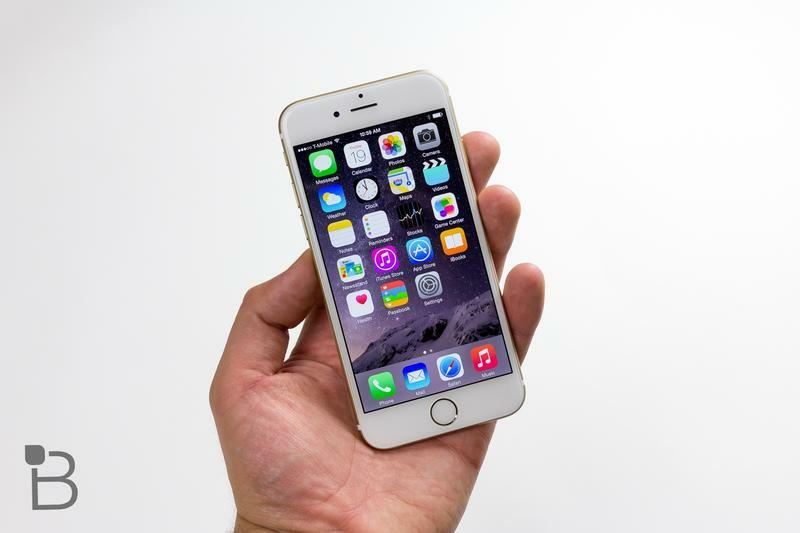 But according to some benchmark testing, Apple’s devices can more than hold their own. Anandtech did some performance and battery testing, which includes browser benchmarks, game benchmarks and Web browsing battery life tests. As the site notes, many of these tests can be used to gauge CPU performance which, as you can see in the screenshots below, indicates excellent performance overall—better than even some of the top of the line devices on the market. 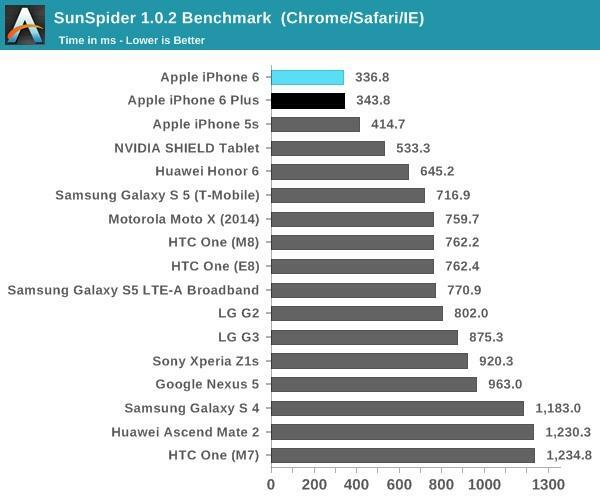 In the SunSpider 1.0.2 Benchmark, for example, Apple’s iPhone 6 beats out devices like the NVIDIA SHIELD Tablet, Galaxy S5, G3 and HTC One (M8); the iPhone 6 Plus slots in at second, while the iPhone 5s is third. 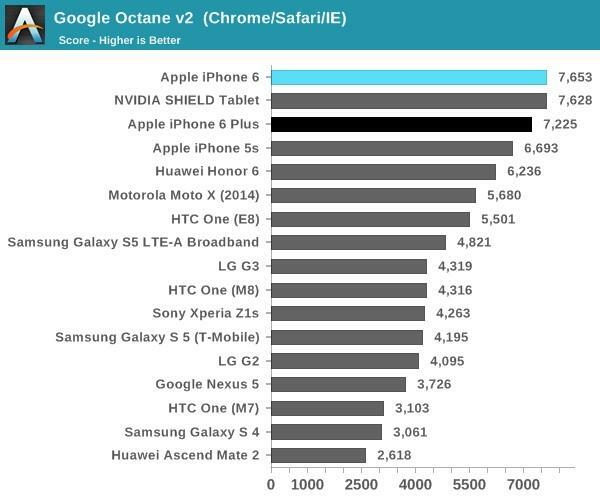 The lower the score the better in this benchmark, so obviously Apple’s devices are better optimized in this particular test. Apple’s devices score high in many of the tests, with Apple’s iPhone 6 (not the iPhone 6 Plus) often achieving the better score. 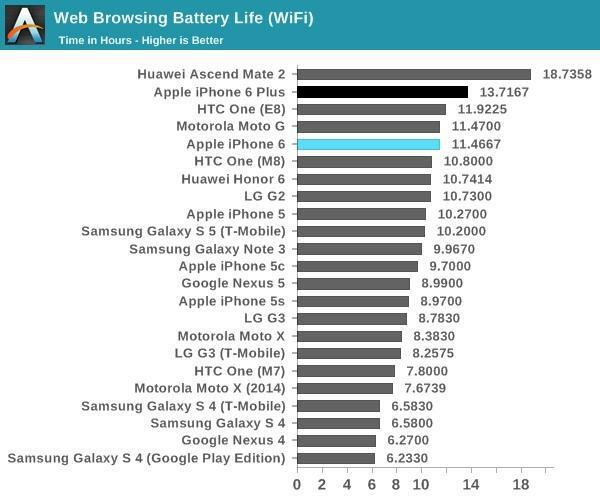 In something like Web Browsing Battery Life, Apple’s iPhone 6 manages a respectable score (better than the HTC One (M8), Galaxy S5 and Galaxy Note 3, which all have larger batteries). Specs never truly tell the entire story, and it’s clear Apple’s combination of hardware/software allows the company’s devices to achieve optimum performance, besting even some of the beefiest handsets out there.